The Tendi Safaritent Comfort (42 m²) is the new variant of the Tendi Safaritent. 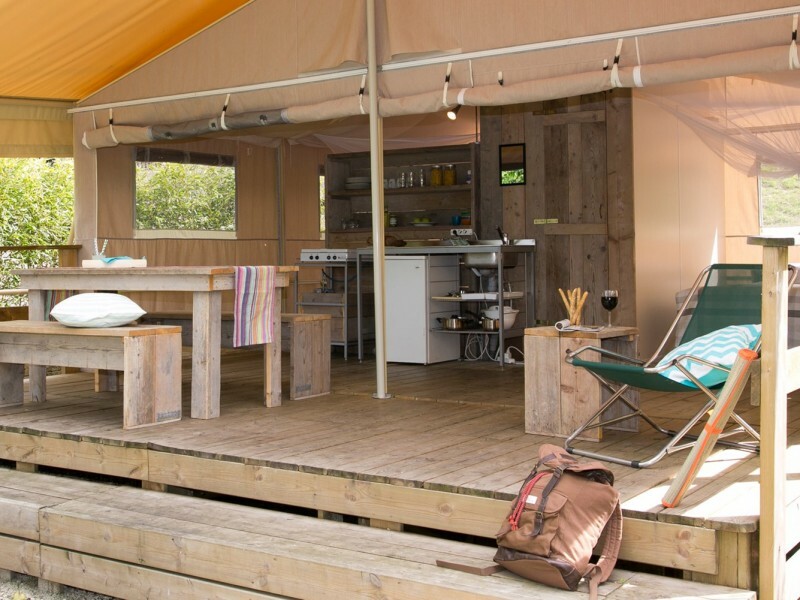 In the Tendi Safaritent Comfort you will have, next to a kitchen, a shower, sink and toilet. 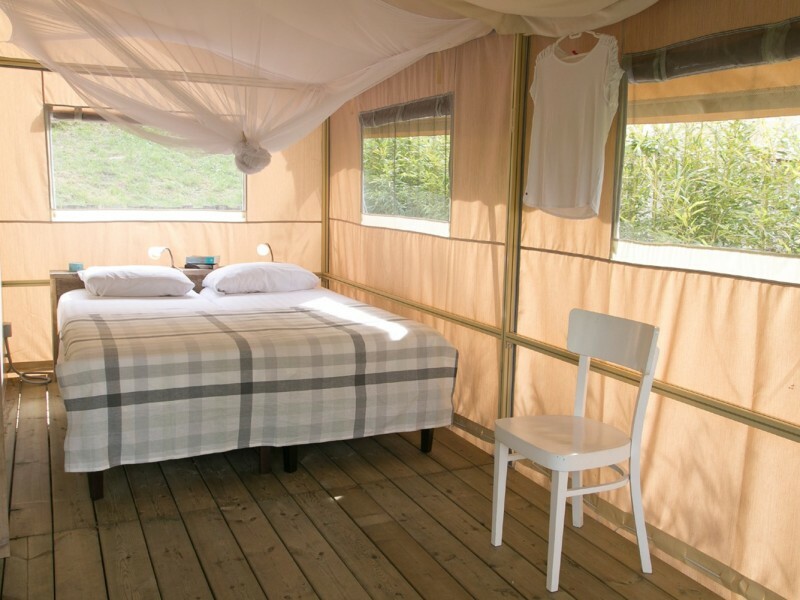 Are you looking for an adventurous variant of ‘glamping’ with extra luxury? 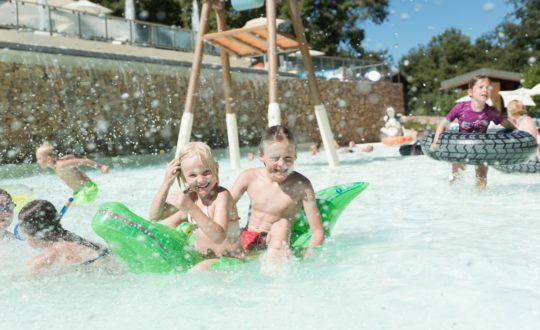 The Tendi Safaritent Comfort is perfect for you! 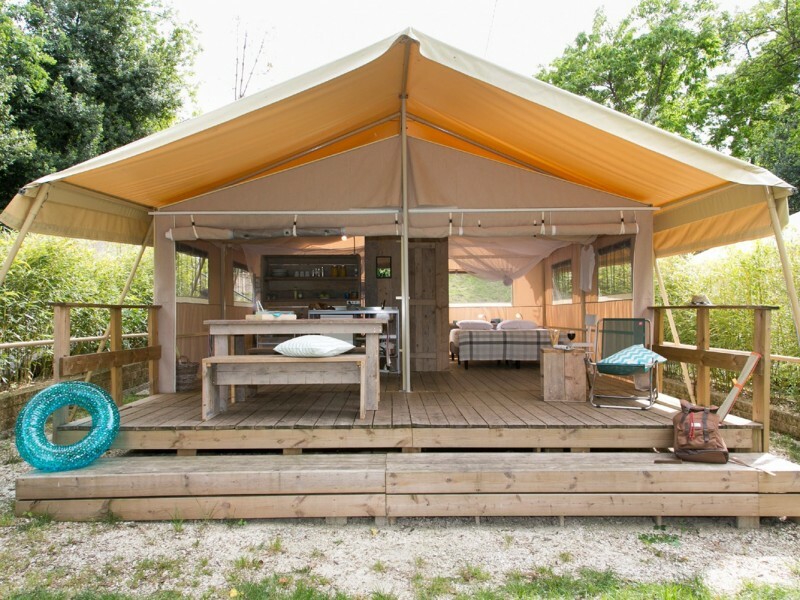 You can enjoy this tent on a number of special, quiet and beautiful locations on campsites in Europe. Don’t forget your hiking boots and binoculars! The Tendi Safaritent Comfort is made of an indestructible canvas fabric, which hangs on a steel frame. The roof of the tent is well insulated. 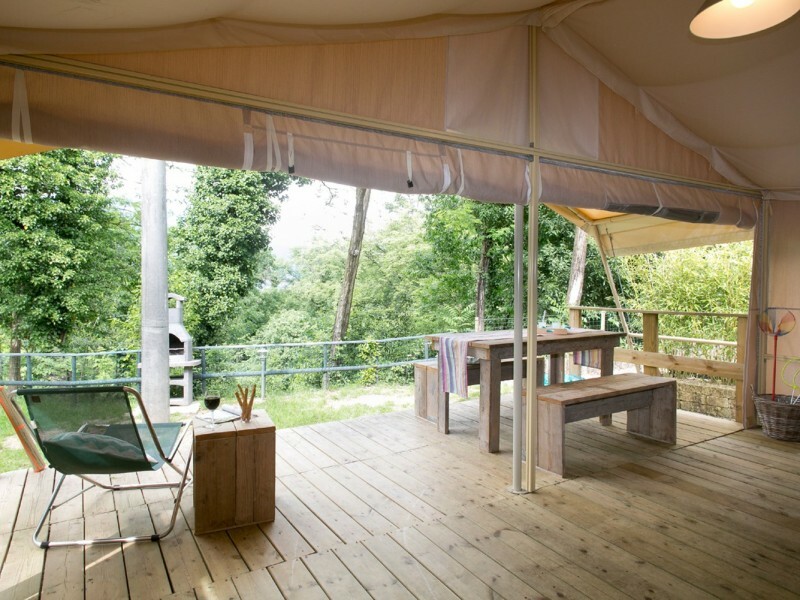 The tent has a wooden floor and a terrace with a canopy. The Tendi Safaritent Comfort is tastefully and trendy decorated and equipped with a kitchenette and refrigerator. 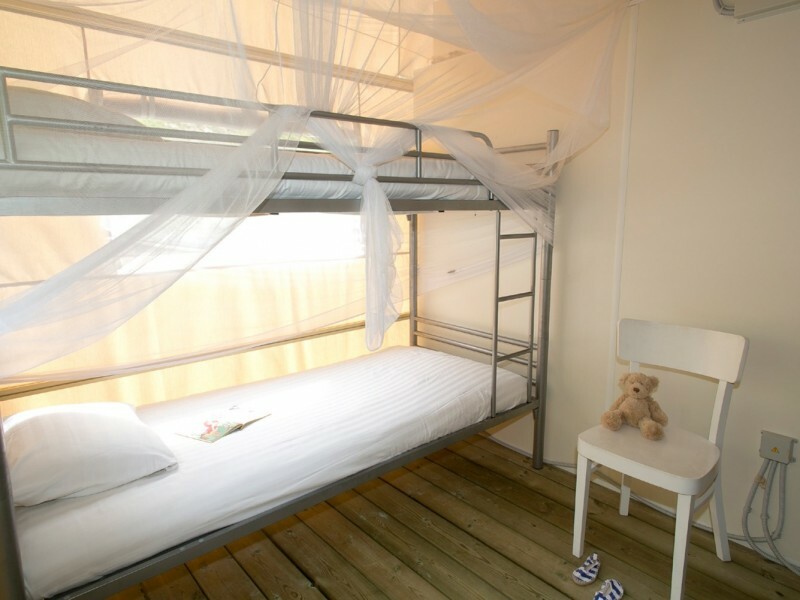 You will sleep in a double boxspring and children have their own bunk beds. 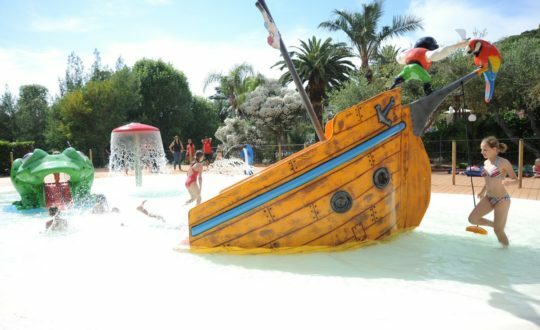 The tent is suitable for 4-6 persons. If you book with more than 4 people, we provide an extra tent. 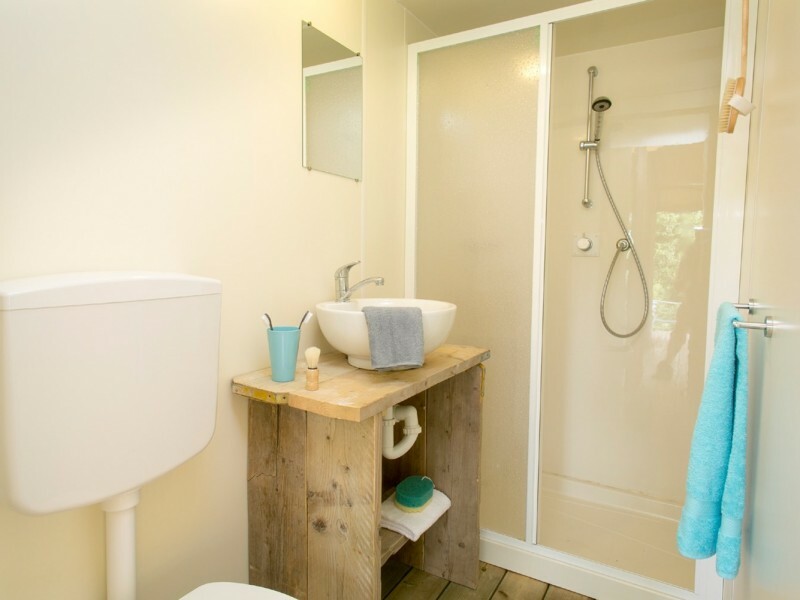 The bathroom of the Tendi Safaritent is equipped with a shower, sink and toilet.